Few couples are prepared for the diagnosis of infertility, and for most, this will be one of the greatest challenges they face together. Although most patients are aware of the financial implications of fertility treatment, many are not prepared for some of the social challenges. Should You Tell Your Friends About Infertility? A common question for many is whether they should tell friends, family and work colleagues about their fertility struggles and/or treatment. There is no right answer to this question. On the one hand, some couples find it helpful to surround themselves with other couples undergoing infertility treatment, and they value the support that they gain from this sharing. Others feel their privacy invaded by having to tell others about the intimate details of their progress, and often withdraw from social interaction as a result. 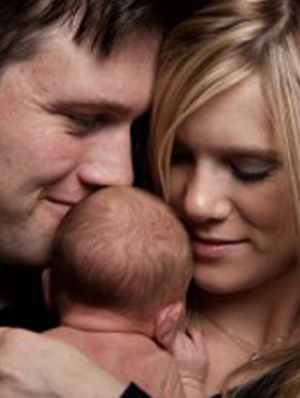 Infertility treatment is a private experience and it is your decision with whom you wish to share this experience. If you and your partner rely only on each other for support, it can put additional pressure on the relationship. It can be helpful to have at least one other person to talk to. If you don’t feel comfortable sharing with friends/family, consider talking to one of the Psychologists at your clinic. If you don’t want to share with a large group, consider identifying one or two close friends who are non-judgemental and who will support you through the treatment phase and all the ups and downs. Don’t feel that you have to tell everyone everything. Only share what you feel comfortable with. Even though comments may be well-meant, they can often be inappropriate, unwanted and/or hurtful. Learn to be assertive without being aggressive, defensive or feeling guilty. A Psychologist can help you practice these new skills. Be selective in listening to advice – be prepared for offerings and have a strategy on how to deal with these. E.g. you are most likely to be told stories of success or failure for other couples – take comfort in the ones that resound with you, and don’t hang onto the ones that don’t, or redirect the conversation. If you subscribe to an infertility forum, remember that it is important to have interests and relationships outside the arena of infertility. Don’t feel guilty about your feelings. It is natural and very common to have ambivalent feelings towards close friends who are pregnant. If it is a close friend or sister and they are aware of your fertility difficulties, you can talk to them about it. Otherwise, some women find it easier to keep a bit of distance until they feel more resilient to deal with these interactions. Don’t feel obligated to attend functions that is likely to make you feel uncomfortable. Practice a one-liner for situations where you might feel cornered, e.g. if asked when you will be starting a family, simply say “Not just yet”, and redirect the conversation towards the other person – you don’t have to explain further. Leave yourself an “out” or an escape route if you do attend a social gathering. When you attend as a couple, you can keep an eye on each other’s comfort levels and intervene when things become too distressing. Excuse yourself from company if they get too nosy. For baby showers or christenings, send a gift and apology if you would prefer not to attend. Don’t feel that you have to make up excuses as this will only add to your sense of guilt and anxiety. Create your own holiday celebrations and/or traditions, possibly at a different time of the year. Monitor your anxiety levels and arrange other pleasant activities to offset some of the stress of treatment. This can be a good opportunity to reconnect with your partner doing something completely unrelated to treatment. Remember that going it alone can be very hard. It is important to have support during fertility treatment, but you can decide on how to access the best support for yourself and your partner. If you feel the need to talk to someone, Fertility Solutions have a team of psychologists and fertility counsellors available to support you during treatment. Please contact the clinic at 1300 337 845 (1300 FERTILITY) for more information.